The conversion heuristic developed by Meclabs Institute is interesting. By definition, a heuristic is a problem-solving approach which concedes that an optimal, logical, and certainly exact solution isn’t possible. Heuristics use guesstimates; measurements are often rule of thumb. But marketing solutions aren’t derived from mathematical precision. There is no solvable equation that provides the perfect conversion results. Of course the folks at Meclabs get this, and they provide excellent explanations and examples that support their heuristic approach. At Marketing 360® we deal with a lot of small business owners who are new to marketing, and for many of them this heuristic looks like Greek. So let’s break down these vital concepts into the basic language and examples that a local, small business owner doing lead-generation will get. In the heuristic, the motivation of a potential customer is weighed most heavily. What this means is that all other things considered, if you’re not targeting and getting the attention of people who are motivated to hire you, little else you do will be effective. This is important to consider because many think of marketing as the art of convincing people to buy things they don’t need. A fair amount of major brand advertising works at this level, delving into buying modalities, biases, and psychological triggers (like fear or status roles) to persuade people that they’re the type of person who needs a particular product. Volumes have been written about what motivates consumers, and we won’t try to tackle it all here. In the context of the heuristic, what you have to realize is that the very reason you target an audience for an advertising campaign is that you believe they’ll be motivated to act on your offer. If you’re just starting out, you need to get into the minds of potential customers and understand what motivates them to purchase. There is an active need – you’ve clearly identified – your solution fulfills. Without that information, all your marketing efforts will be hit and miss. It’s vital to note motivation is not something you control as a small business. You’re not likely to create a branding campaign that creates the consumer need. You tap into a need you discover and get in front of people who’ll be motivated because of it. This is all about knowing your audience. We talk about value proposition a great deal at Marketing 360® because it is so vital to marketing. There’s a great deal of overlap with customer motivation and value proposition, to the point that they could be weighed equally in this heuristic. If you’re a small business in a competitive local market, you have to distinguish yourself from the competition. You must provide a specific, clear reason why you’re the better choice. This vet made huge conversion gains by stating with clarity that he specialized in house-calls whenever needed (read the full case study here). Don’t expect prospective clients to understand why you’re the best choice for them, even if they’re motivated to buy your product or service. Be clear about why they should get it from you because you solve their problem in a way the competition doesn’t. At this point, we start to get into the details of what your website is asking people to do, aka call to action. Two things that influence whether or not visitors will heed that call are incentive and friction. Incentive is the immediate sense of gain a person feels they receive for taking action. They’re going to save some money. They’ll get information they need quickly. They’ll learn something new that will help them solve a problem. Friction is the difficulty that exists in the process of getting the incentive. For example, long request estimate forms that ask for too much information, or overly-complex, multi-step checkout processes. Friction also results when people can’t find vital information such as service locations or contact info. If your forms are too long and difficult to fill out on phones, you’ll lose mobile leads. In general, confusion causes friction and will cost you conversions. Sometimes, you use friction to qualify leads. 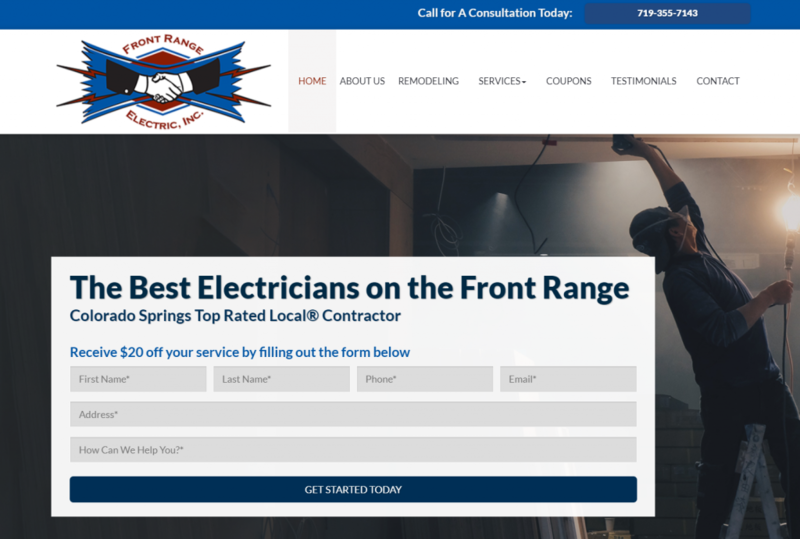 For example, you may require that a lead provide a phone number in a contact form because leads who do tend to be more serious about hiring. When you’re in a competitive market and your service is commoditized, it’s more important to offer incentives in your call to action. Do everything you can to reduce friction, making sure you still get reasonably qualified leads. Web consumers are a flighty bunch. Just a whiff of concern about a business and they’ll hit the back button. A safe assumption to make with web consumers in that they’re looking for reasons not to hire you. There is always an underlying anxiety about “buyers remorse” or just getting ripped off which causes people to hesitate. Maybe later is the most common response a person has when they shop online. When you get a motivated lead that understands the value you deliver on your website, you don’t want to lose the deal because they’re nervous about working with you. Your website presentation can do a lot to alleviate this. Of course, we preach about the need to have a modern, updated, clean website. A dated, cluttered, website that’s not mobile-friendly causes immediate unease in visitors. With today’s excellent and affordable templates (you can get a free website design as a Marketing 360® client) there’s no reason to allow this. Another tactic that quells anxiety effectively is the use of reviews and testimonials. The element social proof comes into play here. When prospects see you have reviews on multiple online platforms and credible testimonials from people they relate to, their fear of working with you decreases. They have evidence you keep your promises. There’s a sense of consensus as they realize a lot of other people chose you, so it must be the right thing to do. As you create your content, think about the objections visitors will have to converting and address them. Make sure you explain security and privacy measures. Be transparent about prices. Detail your guarantees and return policies. Use authentic images of your staff, location, and work to personalize your content. People get nervous about working with an unknown business, but they like to work with actual people. This conversion heuristic adds up, and yet it doesn’t. 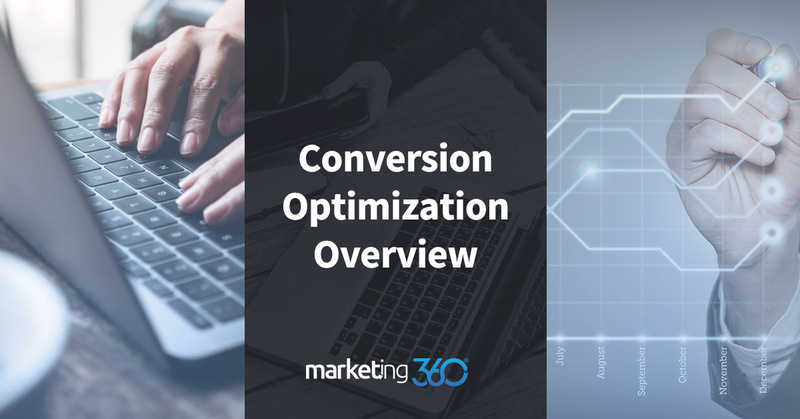 It does a nice job of identifying conversion elements and giving them a level of importance for you to consider. The equation would correctly calculate if you have a highly motivated visitor with little competition; you might get many conversions without a value offering or incentive. All you need is to say what you do and provide a phone number. In fact, many local lead-generation websites do just that. You need a plumber, I’m a plumber, here’s my phone number. Nothing to it. But that rarely adds up. Most businesses have a lot of competition. The motivation and decision-making process of the prospect is far longer and more complex than they realize. Often you don’t just need a single value proposition, but a series of them as people make what Meclabs calls “micro-decisions” before they make the final decision to spend their money with you. It may be necessary to educate people on the value you offer, requiring multiple steps before converting them from lead to customer. But more often small business offering local services lose conversions because of a lack of clarity and poor presentation that causes anxiety. It’s impossible to count how many websites we’ve audited where it’s difficult to determine where the business is or what their service areas are. Just that amount of friction in the first few seconds causes people to hit the back button. Other businesses linger with outdated websites clogged with irrelevant images, inconsistent information and vague value statements. Innumerable are local business websites that make claims about how much they “care” about their customers. Unfortunately, claiming you care isn’t enough to differentiate your business from competitors. Today’s consumers are online constantly. Your website should be a significant source of leads for your business. Over time, you should be able to build a local reputation that leads to more online traffic and referrals. If this isn’t happening for you, chances are you’re losing people in connection to one of the elements in the conversion heuristic.